Kamanda Bosco (alias Amanda) is a transgender activist and human rights defender advocating for gender, LGBTI rights, sexual and reproductive health rights. Working in these areas, she reaches out to grassroots communities, particularly including young key populations through the African Queer Youth Initiative. Kamanda is the co-chair of inclusion and diversity with the Society of Gender Professionals. Kamanda is currently finishing an undergraduate degree in Business administration and working at Transgender Equality Uganda as a programs assistant. 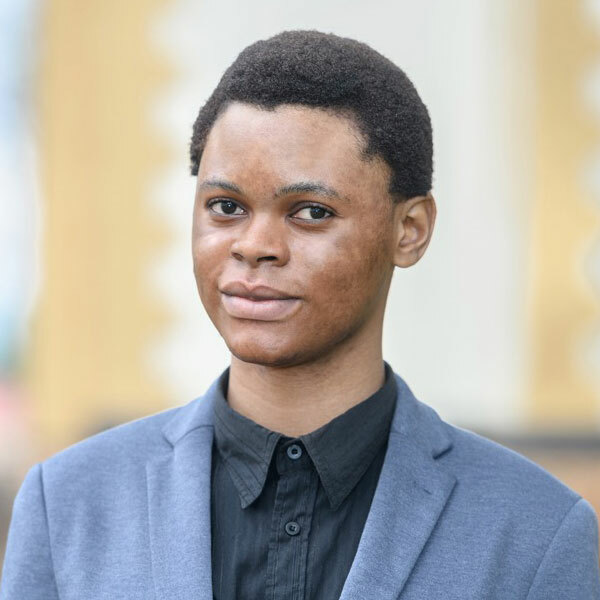 Kamanda is a civic graduate of the Young African Leadership Initiative (YALI) and part of the Commonwealth Youth council on committee representing special interest groups. Kamanda has also worked with the youth coalition for sexual and reproductive Rights and Lancet standing commission on adolescent health and well-being. Elimination of HIV particularly among young women and girls. Economically – lobbying governments to prioritise HIV in National Health Budget. Socially - dialogues and training to sensitize cultural and religious leaders about regressive beliefs and misconceptions about HIV. The need for women in positions of power. "Someone must stand up and speak out against any form of discrimination affecting LGBTIQ persons in accessing equal treatment and services. If no one can do this then who will?"